Siri is undoubtedly the standout feature of Apple’s iPhone 4S. So much so, that we’re fairly sure that the feature is selling iPhone 4S handsets on its own, just because it makes for a hell of a demo inside an Apple Store. But what if you don’t have an iPhone 4S? Are you left out in the cold, having to write SMS messages and set alarms using your fingers like some kind of digital leper? Not necessarily, assuming you’re willing to spend the $5 to get your hands on Voice Actions from the App Store, that is. Interestingly. the Voice Actions app isn’t that new. In fact, it was around even before Siri was announced as part of the iPhone 4S. Voice Commands offers some of the same features that Siri sports, allowing users to send SMS messages, emails, set alarms and arrange for appointments to be added to a calendar. The app seems to understand what is asked of it at least as well as Siri does, though as is always the case your results will very much depend on which part of the world you are from. Thick accents, unfortunately, may cause a few problems. 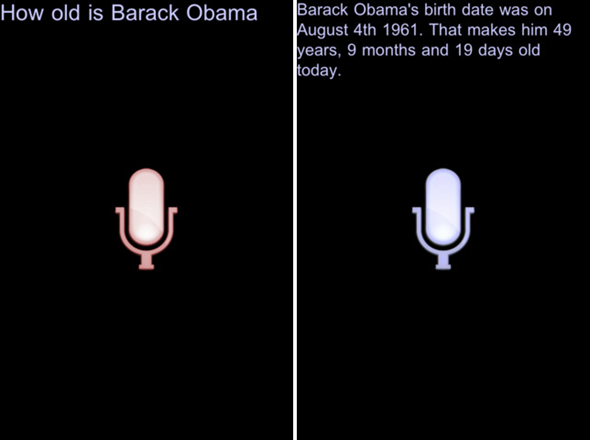 Considering Apple’s Siri also suffers from the same problem though, we’re not going to hold it against Voice Actions. One area that Siri does have Voice Actions licked is, in the presentation department. While Siri gives users a scrollable list of commands issued as well as allowing them to be edited, Voice Actions simply offers up a large icon that can be tapped to initiate the recording of commands. If you ask something that the app can answer without throwing you out to Safari etc., then you’ll be given an ugly set of text on a solid black background. Functional, yes, but it does lack some spit and polish. Reviews on the App Store of people who have used it vary wildly, with some saying that it is great and some feeling the complete opposite. Obviously the only way to be sure is to try Voice Actions yourself, but at $4.99 you may want to look for some more professional reviews beforehand. Of course, at $5 this app is considerably cheaper than buying a new iPhone 4S! 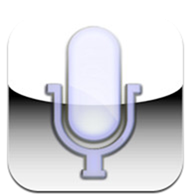 Download Voice Actions for iPhone and iPad [iTunes link].